SIOUX CITY, IA – May 4, 2016 – PC Pitstop, maker of the only commercial whitelisting security technology, today announced the availability of the Tech Sentry Endpoint Suite, a comprehensive IT platform that effectively secures business users and data while making systems more productive and reliable. The Tech Sentry Endpoint Suite provides IT staff with a single-pane of glass to manage all of their company’s security endpoints, drivers, patch management, and performance. Superior endpoint protection from the world’s only whitelist technology against ransomware, advanced persistent threats (APTs), zero-day attacks, and polymorphic viruses. Only “trusted” applications run on the endpoint with a closed-loop security approach. Automates endpoint maintenance with powerful optimization for applications, Windows, and networks settings – all of which can be maintained and managed remotely. Leveraging the world’s largest, comprehensive hardware driver library, IT administrators can easily and quickly schedule, deploy, and update hardware drivers for endpoints within their infrastructure. This automated process extends the productive life of assets, thereby minimizing transition costs and systems replacements, ensuring all endpoints start fast and stay fast at all times. Automatically keeps servers, workstations, and remote computers up-to-date with the latest security patches and software updates. The Tech Sentry Endpoint Suite also includes remote control functionality to easily deploy, install, access, and manage computers from anywhere, and a robust dashboard that provides users with an at-a-glance view of system health key metrics including CPU load, storage utilization, and bandwidth usage. The Tech Sentry Endpoint Suite can be purchased through PC Pitstop’s partner community, or its distribution partner, SYNNEX. Pricing is dependent upon the number of endpoint and multi-year license agreements purchased. 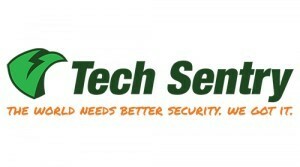 Tech Sentry features encompassing the product suite can also be purchased ala carte. For more information, or to sign up for a free trial, visit: www.techsentry.com/endpointsuite. PC Pitstop was founded with the sole purpose of creating a better way to diagnose common computer problems. Since its inception, the company has evolved into a major security software publisher in the United States, United Kingdom, and Japan. Its exclusive whitelisting technology and three-factor authentication allows PC Pitstop to deliver the highest quality of security and IT management to businesses of any size. Its superior endpoint protection protects against ransomware, malware, advanced persistent threats (APTs), zero-day attacks, and polymorphic viruses. Where other solutions attempt to block a continuously growing list of every known cybercriminal and let everyone else in, PC Pitstop looks only for trusted applications. For more information, visit: www.pcpitstop.com; follow @PCPitstop, @Tech_Sentry, and @PCMatic on Twitter. In the News, PC Safety, Press, Tech Sentry Blog, The Pit Blog, Whitelisting cyber security, endpoint security suite, security patches, software updates, whitelisting. permalink.